Building Blocks Nursery - Great Barr is open all year round. We are closed on Bank Holidays and 1 week over the xmas period. We cater for Morning Sessions and Afternoon Sessions. Welcome to our Great Barr branch. We opened our doors in January 2016 having fully refurbished this former doctors surgery, with superb facilities to cater for children from 3 months to 5 years of age. 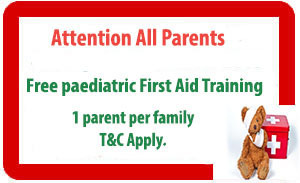 The safety of your child is of paramount importance to us. Access to the Nursery is operated by a remote controlled door system which includes a built in camera to allow staff to see who is requiring entry. We adopt a “home from home” like experience, which is what we find helps each child settle into nursery quickly. "Parents speak highly of the staff. They are very pleased with the progress their children make, particularly in developing confidence, social skills and speech. As every child is unique we find that some children may need next to no time to settle into nursery life where as others may require a lengthy period of time. We recognise this and ensure that your child is given the time and attention needed. Welcome to our baby room, where we cater for the children from 3 months to 18 months. We have separated 2 areas, the smaller being for young babies and sleepers, and the other being for older babies once they are on the move. Both areas are bright and colourful and provide a wide range of equipment for babies’ development and stimulation. We operate a key person system, where specially selected staff care for their small group of babies, enabling them to build up a loving, trusting relationship with both the babies in their care and their parents. We have Daily Diaries to record information and communicate your child's progress as well as their eating and sleeping habits. We work closely with parents and take their wishes on board. Parents are welcome to spend time in the nursery whenever they wish. Children within this age group are encouraged to discover their surroundings and to take part in experiences such as games, music & movement, baking and storytelling. We have specially chosen equipment to encourage a child’s emotional, physical and intellectual development which works towards a strong child a healthy child a confident learner and a skilful communicator. This room is also used as a dining room where children can spend meal times in a relaxed and sociable environment. Our Sensory Room has been created to provide a relaxed and calm environment. We have provided a variety of equipment and resources to allow children to experience the 5 senses. Welcome to the Pre school Room which caters for the children from 3 years to 5. Within this room children are encouraged to access all areas and equipment independently. This encourages, good social interaction and offers opportunities and facilities to promote independence and development. The staff are always available to have a chat with parents and are able to discuss in confidence their child’s needs. Our aim is to encourage children to feel confident and valued. A child will never be pushed to begin the fundamentals of a more formal education, however, staff will take every opportunity to encourage and guide them when they feel that they are ready. All children are eligible for 15 free hours per week free child care the term after their 3rd birthday. This funding is term time only. The free hours will be deducted from the monthly fees accordingly. We do offer spaces for children who are just using their 15 free hours. Our "Playground" features a rubber surfaced area to provide a safe environment to support learning through play. We have colourful mushrooms and seating areas where children can use their imagination on a grander scale. We also have a paved area for the children to ride their bikes and scooters and a large sheltered canopy which provides a versatile area for all age groups to learn and play with plenty of shade. When you visit us you will see what a wonderful environment we have provided for the children to explore and discover!